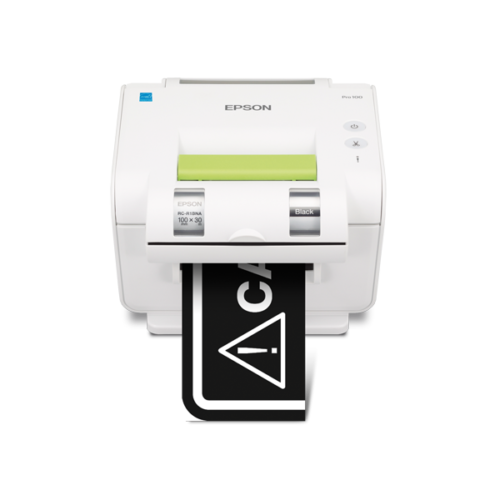 The Pro100 enables printing of wide format labels in 50mm and 100mm width with convenient printing of on-demand labels with customizable designs and text. 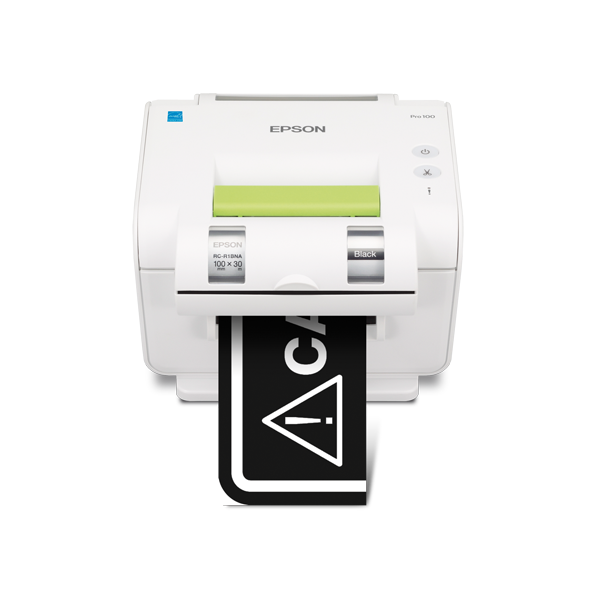 Its borderless printing function enables users to combine up to four labels with no margins to create larger labels and eye-catching signs of up to 400mm height while maximising media usage and eliminating waste. Epson’s tapes are olefin-based for high durability and resistance to environmental exposure or damage from moisture and chemicals, making them ideal for applications in the toughest industrial conditions. A special strong adhesive ensures that Pro100 labels can be applied securely on surfaces and be removed with hardly any residue*. 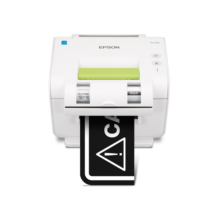 The Pro100 can easily customize label designs according to users need, with the choice of seven color tapes and five color ribbons.It also supports printing to pre-cut mailing labels for fast and convenient addressing of documents and packages. 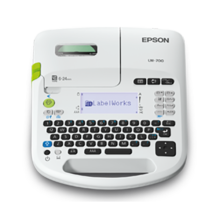 With the bundled Epson Label Editor software, users can choose from over 70 pre-installed templates to create custom labels. Images, company logos and barcodes can be easily inserted onto labels and users can also opt for borderless, edge-to-edge printing to reduce media wastage and create larger labels. 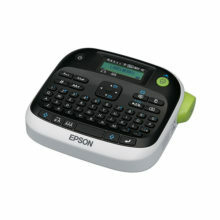 A special 2-in-1 magnetic label applicator is included with the Pro100. Simply use the integrated leveling bubble to quickly and easily apply perfectly aligned labels every time. 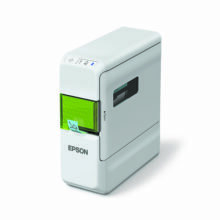 The Pro100 is designed for ease of use with simple drop-in and snap-on installation of tape cartridges and ribbons. Installation is quick and easy without any mess. Another convenient feature on the Pro100 is the clear window on the back and front of the printer chassis. This enables users to clearly see the currently installed media, as well as the text ribbon color and type without having to lift the cover up. Epson’s tape and ribbon media for Pro100 are made with Chlorine-free materials to ensure its safety to both users and the environment. * Dependent on environmental conditions and material of the label-applied object, such as materials containing a plasticiser like chloroethene. Be sure of the material of the applying surface and purpose before applying a label. Description:Borderless wide format printing for signage with durable ribbons & olefin-based tapes.